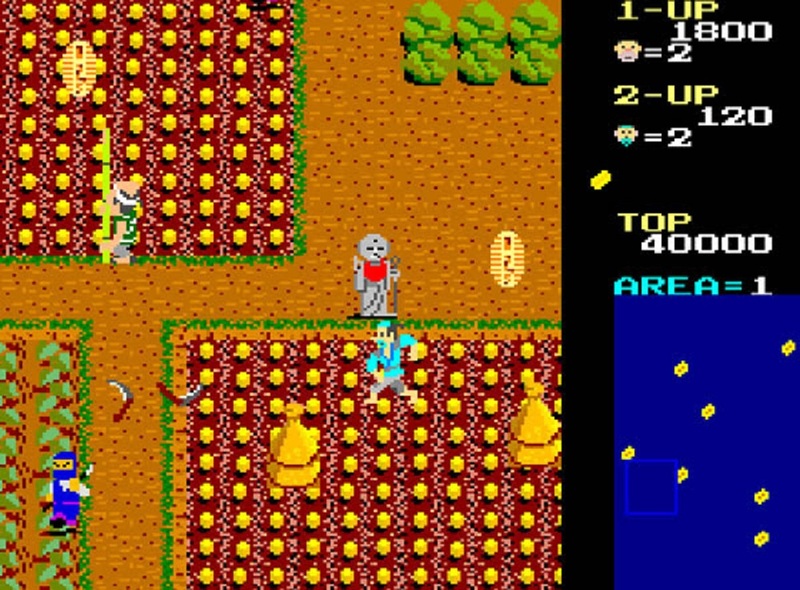 Retro game cultivators Hamster have released another title from their Arcade Archives range, though you'll be forgiven for raising an eyebrow this week, as Ikki is made available for Nintendo Switch. Released by Sunsoft way, way back in 1985, Ikki (meaning "revolt" or "revolution") is a top-down action game that allows scrolling both up and down field. One of two players control a pair on down-on-their-luck farmers, who plan to overthrow a greedy lord, enabling them to take back their land. Just by themselves, apparently. Ikki is a fairly basic game that contains elements of other arcades such as Commando and Gun.Smoke, though it does not play as well as either of those examples. It was eventually ported to the Famicom, which makes its Switch re-release somewhat poetic. Ikki even received, of all things, a manga adaptation in 1986. Ikki is available now on Nintendo Switch, priced round $8. The game is presented in its original Japanese form, with no text localisation.